Who doesn’t love cheddar cheese? Those two famous words have to make your mouth water. The world of cheese is one of the most exciting areas in the culinary landscape. There is nothing that can produce that comfort level satisfaction as cheese does. For many, cheddar cheese is the undisputed champion of cheeses. Here we’re going to talk about the top five uses for cheddar cheese. No burger is complete without cheese on top. What’s the best cheese for a burger? The answer many people have is cheddar. This mildly sharp cheese can easily cut through the fat of the ground beef and the complexity of flavor of the condiments. Mac and Cheese is the ultimate comfort food. Add a handful of ingredients, and it can even be a meal in itself. 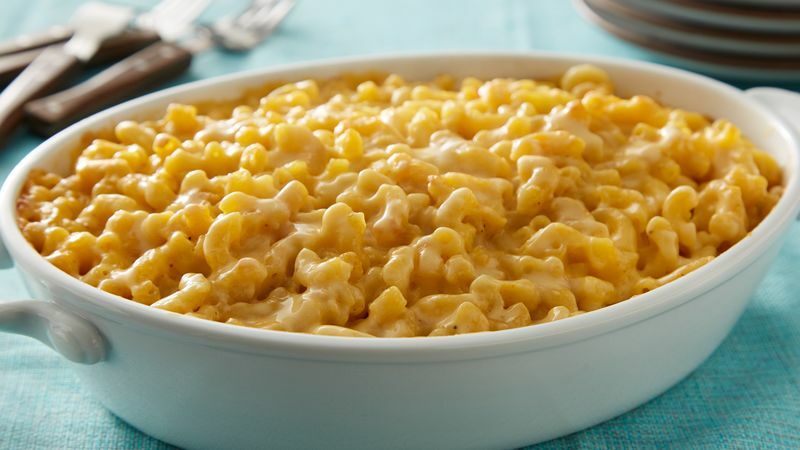 Mac and Cheese is a favorite of little kids and bigger kids alike. Who doesn’t love noodles smothered in gooey cheese? 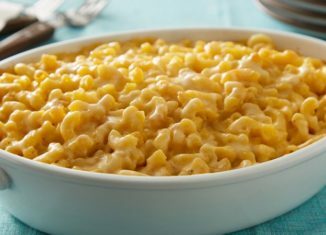 It doesn’t matter if it’s the stuff in the box or made from scratch, Mac and Cheese is excellent anyway it’s made. 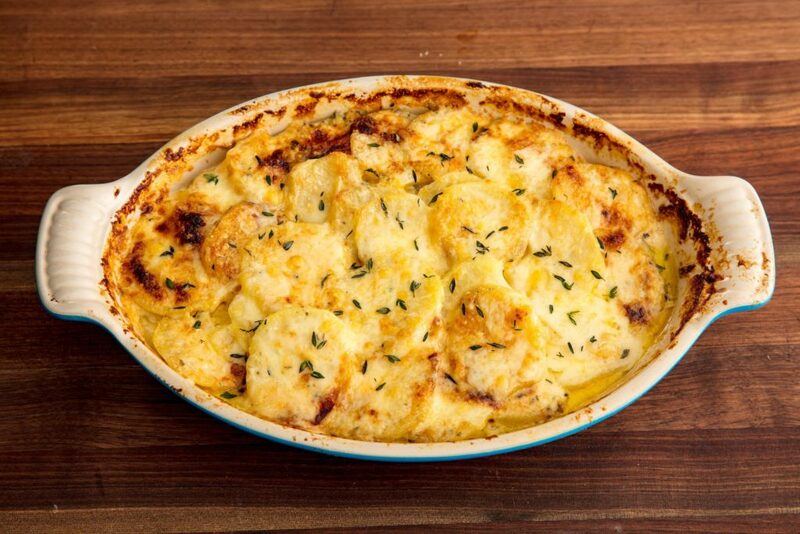 Potatoes Au Gratin is another comfort food that’s great any time of year. Though, this hearty dish can stick to your ribs during the cold winter months. It’s super simple to make and is always a crowd pleaser. Nothing goes better with cheese than potatoes. It’s a fat and carbohydrate combination that your body craves. Chances are pretty good that you have your very own particular recipe for these. Do you like to put sausage in yours? 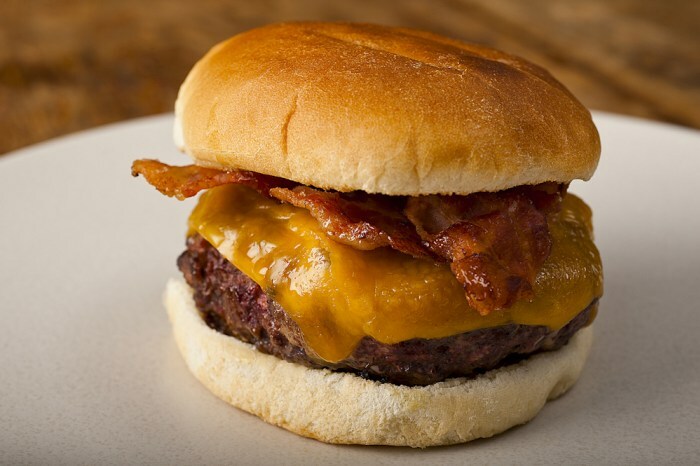 Maybe you’re a purist and only add cheddar cheese. These are the perfect bread for any meal. No one will turn down one of these fantastic biscuits when its put down on their plate. This might be a surprising addition to the list. Are you a big fan of broccoli? If you are, then just the thought of this soup has to warm your cockles. Those of you who can’t stand the green vegetable is probably scrunching up your nose right about now. There aren’t too many people who are on the fence when it comes to broccoli. 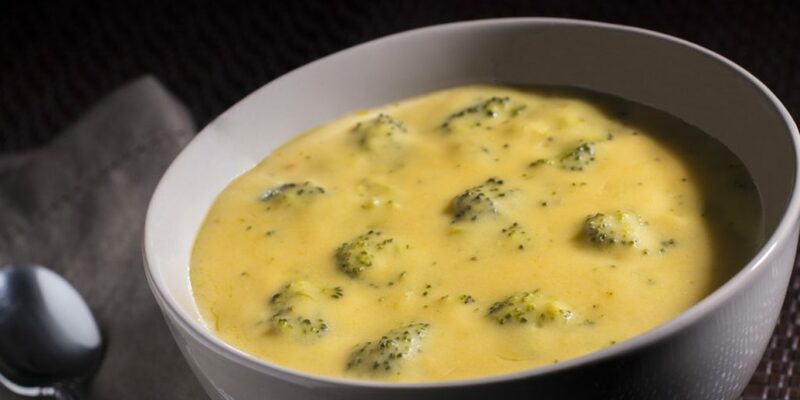 If you haven’t tried Broccoli and Cheddar Soup, then it’s time you have. It’s a surprising mix of flavors that’s both creamy and green vegetable flavor. 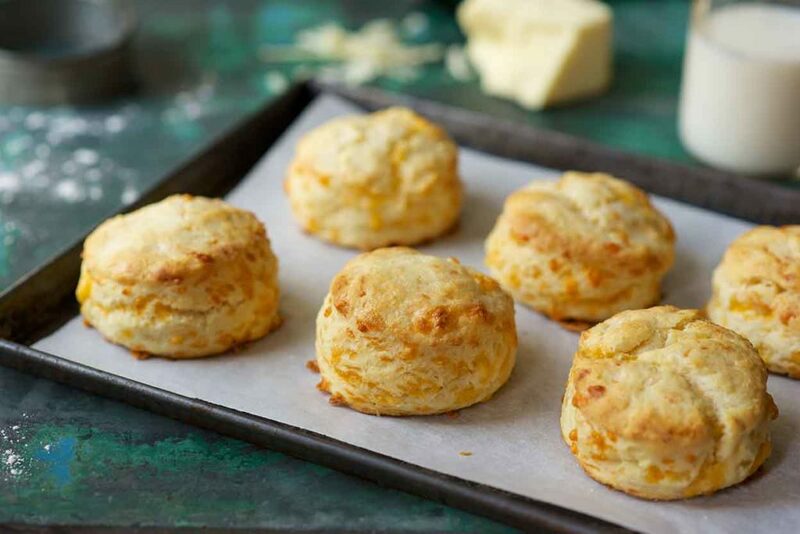 The addition of cheddar cheese makes it an unforgettable flavor that any cheese head will fall in love with. Hating cheddar cheese is like hating cotton candy. How can you hate something that tastes as wonderful as cheddar cheese? It’s just not possible. There are a million and one things to do with this versatile cheese. The most appealing may just be to eat it as a snack. Add a few slices of apples or melon, and you’ve got yourself the easiest snack out there. It’s both healthy, tasty, and highly addictive. All three things could be said about any way that you enjoy this fabulous orange-colored cheese.